At the base level, the 718 Cayman Coupe is one of the more cost-effective models in the lineup, but it’s also easily one of the most impressive. The Porsche Cayman specs make it a stand-out, from its exciting performance to its well-equipped cabin. In fact, compared to the Audi S5, the Porsche 718 Cayman is faster and more powerful. Find out what makes the Porsche Cayman a great choice for Livermore and San Ramon drivers! Engine: The 718 Cayman engine is offered in two variations: a 300-hp 2.0L turbo inline-4 and a 350- to 365-hp 2.5L turbo 4-cylinder. Transmission: The 718 Cayman comes standard with a 6-speed manual transmission, but that can be swapped for a Porsche Doppelkupplung 7-speed automatic. Acceleration: With their base powertrains, the 718 Cayman S and 718 Cayman GTS can reach 60 mph from 0 in as little as 4.4 seconds. MPG Ratings: With the optional PDK transmission, the 718 Cayman earns an EPA-estimated 22 mpg city/29 mpg highway rating—making it the most fuel-efficient of the lineup. 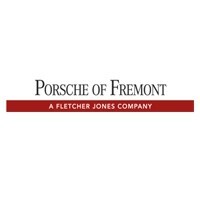 Learn More About the Porsche Cayman Specs at Porsche Fremont! We could go on and on about the 2018 Porsche Cayman specs, but we’d rather show you in person! To learn more about the new 718 Cayman Coupe, schedule a test drive at Porsche Fremont—not far from Redwood City and Walnut Creek. Before you schedule, take a moment to browse our current offers on new Porsche vehicles.